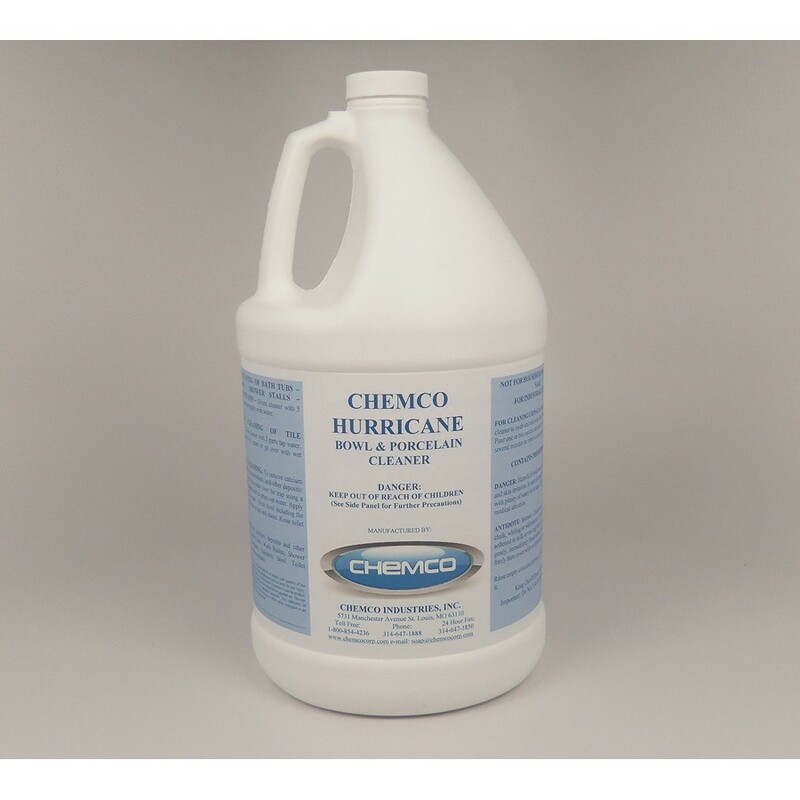 Toilet Bowl Cleaner - Hurricane Cling - Hurricane is safe, versatile, and economical product designed to be an exceptionally effective restroom cleaner. Mild phosphoric acid, detergent, and wetting agents are united in this product to quickly remove water minerals, scale, rust, soap scum, and filth from all bathroom surfaces. In addition, odor-causing bacteria are destroyed and all surfaces are left smelling clean and sanitary. 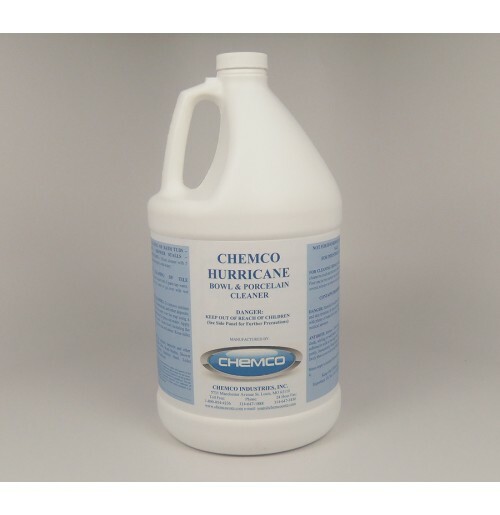 Hurricane will not attack porcelain, chrome, or carpeting like other acid cleaners. Also, this formulation is inhibited to protect plumbing and will not harm septic action. It contains the same acid that Coke and Pepsi contain. Earth Friendly - Green Product - Biodegradable.